Minimalistic and sculptural, this composition of two materials and shapes makes a bold yet soulful statement. Its simple and distinctive silhouette brings an architectural tone to an interior. 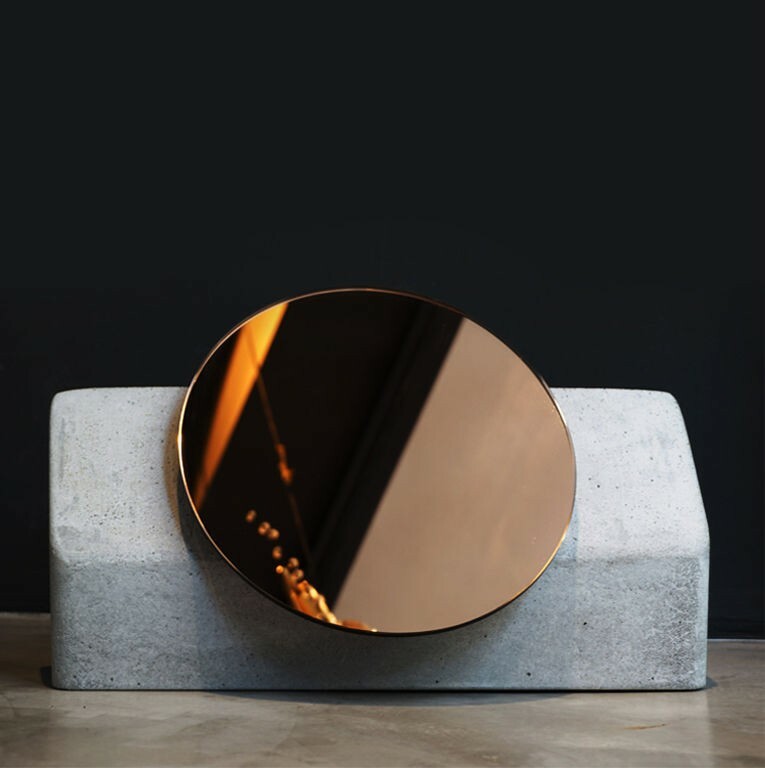 The warm tones of the cement cast base combined with the hard surface of the mirror make it a perfect fit for both a classic and a modern setting. Made from our own aggregate of stone, marble and cement. High in durability, this object is near care-free. Slight variations in size and color are due to the use of natural materials and to the handmade nature of our products – each is unique. This piece comes in a series of combinations of warm colored pedestal bases and striking colored mirrors. The MOON table mirror comes assembled and ready to be placed.